#PHLovesBanilaCo. It's time to welcome another Korean beauty giant here! Say hello to Banila Co! They are now at the 2/F of Glorietta 4, and I attended their opening day sales yesterday. And no, I was not randomly paid to talk about it. I was first exposed to the brand summer last year when we had a close family who gifted me with a whole lot of Banila Co products (shout out to Kayan and Chichi thanks again mwah mwah!!!). That's when I learned that this is a brand all about skin cleansing and making glowing, dewy skin. If you're into highlighting/ strobing, this is the place to go. The brand has a whole lot of products that are cult favorites and holy grails of girls in Korea. I already have a whole lot of Banila Co products from our family friend and from my trip to Korea earlier this year, so what I decided to buy today are items I still do not have, or their unique products. First is their itRadiant Lace Hydrogel Mask sheet. 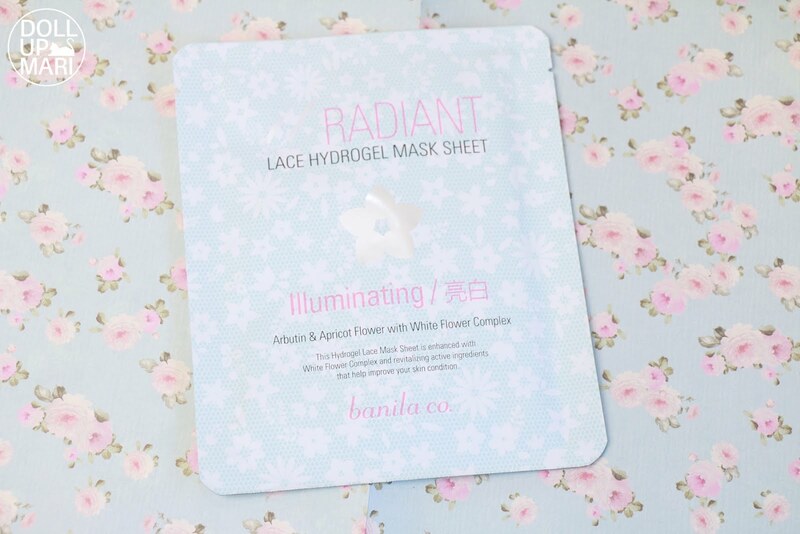 It's a hydrogel mask, but well, with a lace design. If you can resist something like this, you have a problem hahaha. This is Php240. 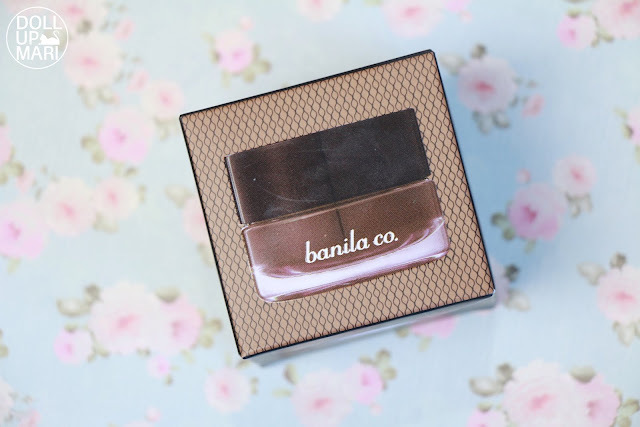 I was not supposed to buy this one because I have other banila co lip products at home, but being there during opening, they gave out gift vouchers to the first people in line. I got a Php1000 voucher, so I thought that it'd be a good time to pick something up from the lip products because the lip products on display have been tempting me since I got there. 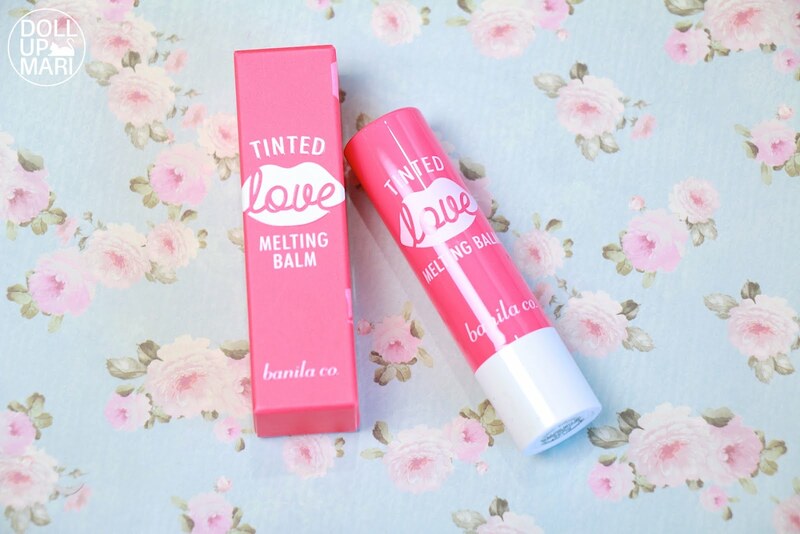 This is their Tinted Love Melting Balm in shade 8, which is Php455. This is like a thick lip balm borderline lipstick which really stays on. I used the tester and the tint stayed even after a whole lot of eating. Last item for this mini haul is this Eye Love Cushion 3D brow. This is so exciting as it's a game changer. It's like brow pomade, but what's special is that its surface is like a stocking/ mesh, which helps you get a healthily distributed amount on your eyebrow brush. No chunks, no sudden dark area, no nothing. Just natural looking yet sharply defined brows. This is what I mean by stocking/mesh. It's a whole tub of product and you will use your brush to push down the mesh and get to the product. What I love about this whole mesh set up is that when I was using the tester, I was able to use this for nose contour, and I can already envision it now as cream eyeshadow. This is a really good investment for Php720.